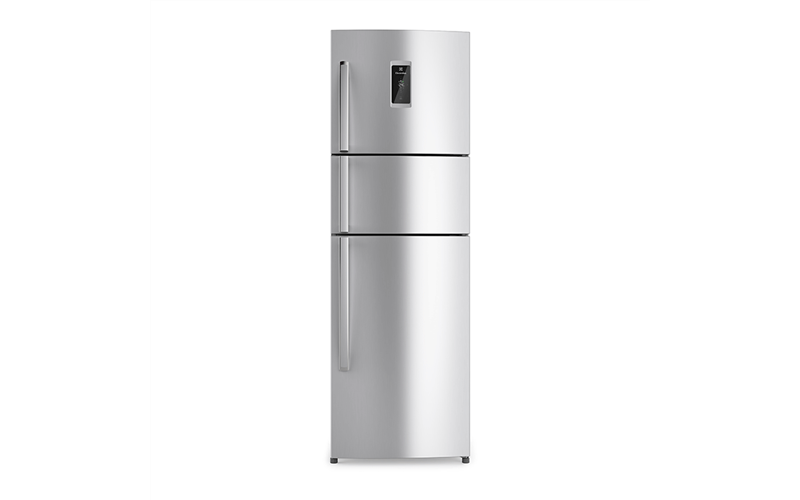 360L Stainless Steel Multidoor Top Freezer with FlexFresh (TM) compartment, door slide rail system and multiflow air delivery with side cooling. Perfect for parties, special occasions and storing tall items, the slide-away shelf has a front half that slides neatly away. This creates more space when you need it. Plus, it can be used on any level, so you can easily modify the fridge to suit you.